Brad's energetic and interactive presentation leaves your group smarter and more self confident, with real-world skills they've already put into practice. They develop tools that make remembering easier than forgetting, making life easier at school and home. A entertaining presentation by a champion of memory helps raise everyone’s game. 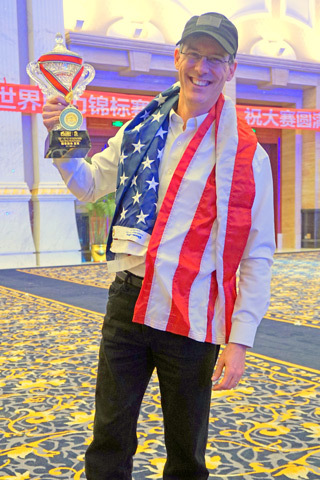 Brad was the co-captain of Team USA as they won the Silver Medal at the World Memory Championships in Chengdu, China, 2015. Greetings. Many thanks for considering my fun yet practical presentation for your teen leadership group! Watch a short preview video of Brad in action. As a memory improvement expert and memory athlete, I specialize in showing audiences how to improve their lives and leadership abilities with the power of memory. Please review the information below and let me know if you have any questions. If this is a good fit, I hope to see you soon! A presentation where everyone has fun and interacts while improving their lives. Your group maximizes its memory for success in life...while having a great time. In two and a half hours, Brad not only amazes and inspires your audience with 'feats of memory,' he entertains while educating, showing everyone how easy and fun remembering well can be. Brad arrives early (to meet guests and memorize names) and stays late (to answer questions and socialize). Setup can be minimal (microphone only), but a projector and screen is preferred, especially as it helps demonstrate the techniques for easy memorization of the names of people we meet. Fee is the grand total: there are no additional expenses. Please note that dates are filled on a "first come, first served" basis. The date is not reserved until the signed contract and first half of fee are received by Brad Zupp/Simply Sensible Entertainment, Inc. This proposal does not constitute a reservation of the date(s) above. While the date(s) is/are available at the time of the proposal submission, it is not a guarantee that the date will be available in the future. Universally appealing. Remembering well impresses everyone. Unique. Attendees practice and put the tools to use, before even leaving the session. Amazing. People see for themselves what they can accomplish as they improve their memories. Fun. They love laughing and having fun while participating in improving their minds. Your attendees get an expert with over 25 years of full-time experience and a memory that amazes and inspires. Brad demonstrates how anyone can reclaim their brain and harness the power of their mind to reduce stress, improve productivity, and provide remarkable leadership. Brad not only is a full-time speaker, he puts his skills to the test. 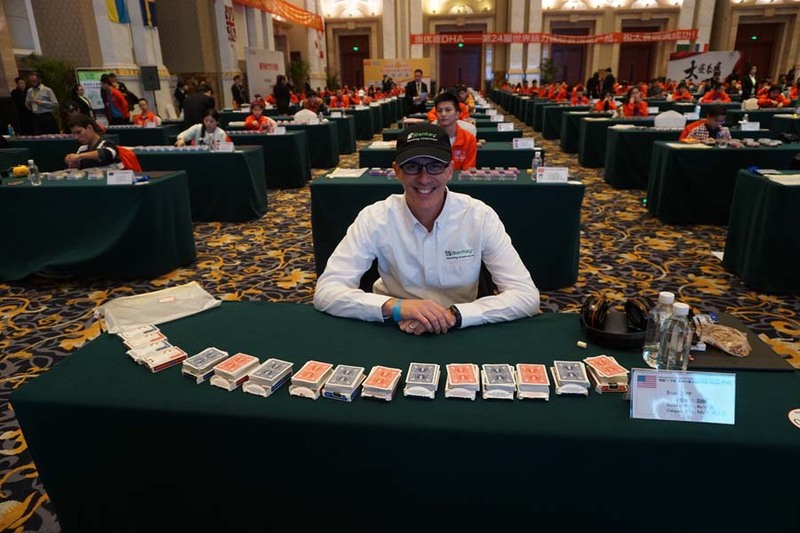 He recently lead Team USA to a Silver Medal finish at the World Memory Championships in Chengdu, China. Your customers experience a champion who will leave them with skills they will use immediately to improve their lives: better relationships, less stress, and more trust. Your audience will applaud you for providing this entertaining, motivational speaker for your event. Take a few minutes to chat with Brad to get a feel for his passion and style.